FOSSCOMM 2015 took place on Nov 6-8, at the Technical Educational Institute of Athens. Unfortunately, the ownCloud community didn't participate with a booth. 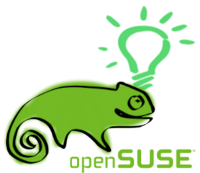 Personally I helped at openSUSE booth. I brought with me promo materials and gave to many linux teams that asked me, ELLAK and put some stickers and brochures at every booth. Organizers asked me to put some in the promo bags. I requested a presentation (lightning talk). 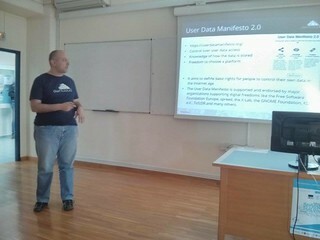 The presentation was anouncements from the conference. I mentioned User Data Manifesto 2.0, our bug bounty program and finally ownCloud Proxy. You can find the presentation file here. Although it was too short, I was asked at openSUSE's booth about encryption and many other interesting questions about ownCloud instance. Next stop was University of Pireaus.